I’m Sarah Jacobson, Advanced Esthetician and Founder of Skin & Sugar. Skincare has been an obsession of mine ever since I can remember. After leaving a career in healthcare and graduating at the top of my class from the Brown Aveda Institute, I decided to build Skin & Sugar for you to have the radiant and beautiful skin you deserve, and for you to feel confident in your own skin. Everyone deserves to feel confident! I have partnered with the award-winning Image Skincare products to provide you with revolutionary ingredients that are highly effective, affordable, and validated with proven results. 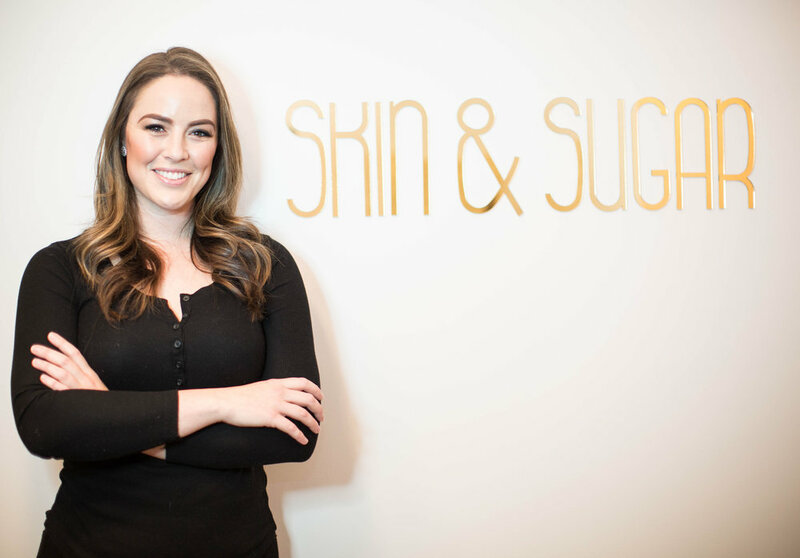 Skin & Sugar offers custom facials, dermaplaning, custom peels, light therapy, and sugaring. Sugaring is an ancient middle eastern method of hair removal, using an all natural mixture of sugar, water, and lemon juice at room temperature. With consistent treatments, this method of hair removal will collapse the hair follicle over time leading to permanent hair loss! At every appointment, I ensure a comprehensive and enjoyable consultation to make sure we reach our goal - amazing skin and the confidence to match!